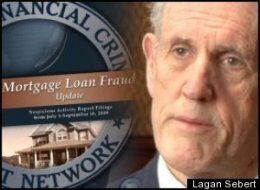 Tag Archive | "bank fraud"
It isn’t clear what is worse: the housing crisis that keeps deepening or the reports of pervasive banking fraud that keep getting exposed. With the banks facing billions in potential damages, perhaps some measure of justice can be done to the homeowners who have been the victims of the crisis and the crimes. We’re still not at the bottom of the housing mess. Home prices continue to fall. Now nearly 30 percent of homes with mortgages are under water. 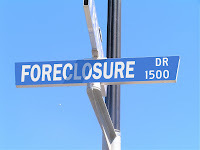 Another 2 million in foreclosures are due to come. Banks are sitting on hundreds of thousands of foreclosed homes, a dead weight on any recovery in home prices. WASHINGTON (Reuters) – The founder of whistle-blower website WikiLeaks plans to release tens of thousands of internal documents from a major U.S. bank early next year, Forbes Magazine reported on Monday. Julian Assange declined in an interview with Forbes to identify the bank, but he said that he expected that the disclosures, which follow his group’s release of U.S. military and diplomatic documents, would lead to investigations. “We have one related to a bank coming up, that’s a megaleak. It’s not as big a scale as the Iraq material, but it’s either tens or hundreds of thousands of documents depending on how you define it,” Assange said in the interview posted on the Forbes website. He compared this release to emails that were unveiled as a result of the collapse of disgraced energy company Enron Corp.
“This will be like that. Yes, there will be some flagrant violations, unethical practices that will be revealed, but it will also be all the supporting decision-making structures and the internal executive ethos … and that’s tremendously valuable,” Assange said. “You could call it the ecosystem of corruption. But it’s also all the regular decision making that turns a blind eye to and supports unethical practices: the oversight that’s not done, the priorities of executives, how they think they’re fulfilling their own self-interest,” he said. Continuous housing foreclosures have made this the deepest housing crisis since the great depression. As Seth Doane reports, one judge has become determined to keep families in their houses.